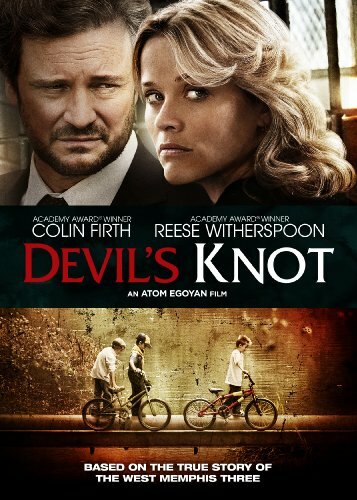 Los Angeles, May 20, 2014 - Image Entertainment, an RLJ Entertainment (NASDAQ: RLJE) brand, brings you Devil's Knot , available on Blu-ray, DVD and Digital Download on June 10, 2014. Based on the true story of the West Memphis Three, the film is directed by Academy Award Nominated Director Atom Egoyan (The Sweet Hereafter) and stars Academy Award Winners Colin Firth (The King's Speech) and Reese Witherspoon (Walk the Line) as well as Academy Award Nominee Amy Ryan (Gone Baby Gone), Golden Globe Nominee Mireille Enos (AMC's "The Killing") and Stephen Moyer (HBO's "True Blood"). May 5, 1993. West Memphis, Arkansas. Three young boys playing in the nearby woods never come home for dinner. In the rush to find and convict the killers, police focus on a trio of teenagers suspected of devil worship. As the mother of one of the murdered boys (Witherspoon) tries to come to grips with this unspeakable tragedy, she is desperate to believe that the killers have been found and will be brought to justice. It is only when an investigator (Firth) reveals that the evidence doesn't all add up, that the community is forced to face the reality that the true killer might still be out there.